I’ve been feeling a little buried lately…there is alot going on, most of it really positive..but the number of plates in the air the past number of weeks reared its ugly head. Dreaded cold sores…like a beacon to the world that i’m feeling stretched, fighting off something or both! Wow, i can’t stand these unsightly things. And more than that, they are painful. Being the cold sore veteran i am, i have tried pretty much all the remedies you could think of. Save the prescribed meds i was given once, the others have all had dismal results. Until a friend suggested the Tea Tree Blemish Stick from the Body Shop. Intended to treat facial blemishes, this stick seems to speed up the healing of my cold sores, as well as giving me some pain relief. Tea tree oil is both healing and drying. 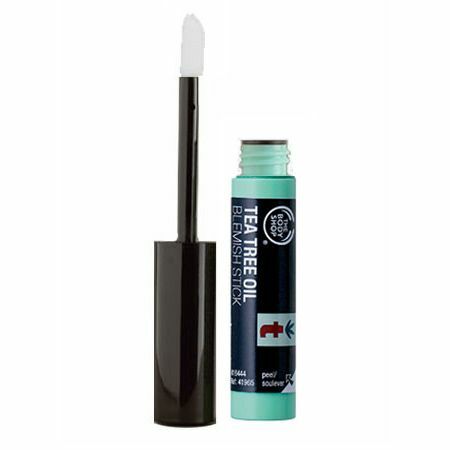 I now have these blemish sticks floating everywhere around the house…i like to have them on hand and so i can deal at the first “tingle” of a cold sore! Just a note…once you’ve used this stick on your cold sores, its def off limits to being used for your blemishes!!! What are you cold sore remedies?